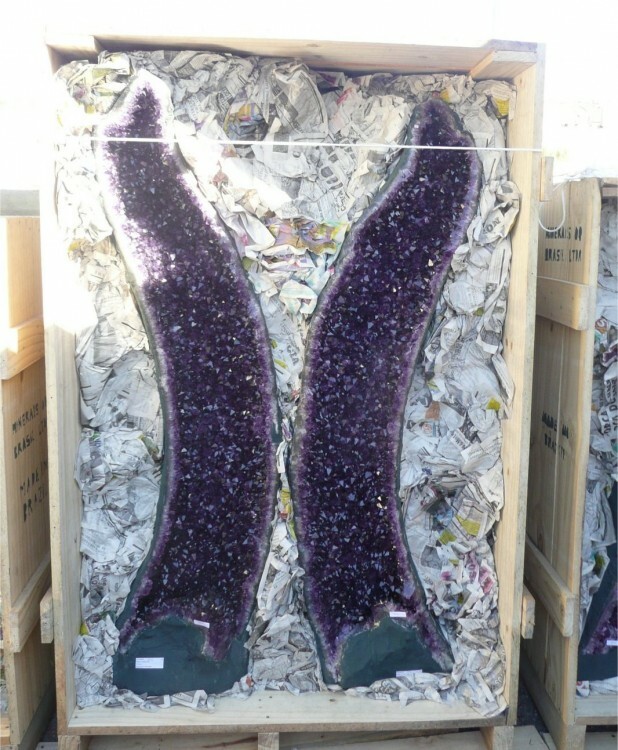 Fine Fossils can supply high quality minerals, gems and geodes from our contacts around the globe, including very large free standing amethyst, and huge quartz crystal clusters. Simply advise us of your requirements, and we can give you prices and delivery dates. THESE ARE ALL AFFORDABLE, AND MAKE WONDERFUL DISPLAYS IN THE HOME OR OFFICE. Very large amethyst geode pair. 14 ft tall.